This week in Topic lessons, the Year 3 children enjoyed making Egyptian flatbread, a popular staple food in Ancient Egyptian times. After learning about the hierarchical structure in Ancient Egyptian society, the children discovered that the types of food and clothes you could access would depend on your job and status. The most wealthy could access a variety of foods from meat, wild birds, eggs, vegetables and dates whilst the rest of the population didn’t eat meat often; instead they ate fish, vegetables and anything they could grow themselves. Bread was a staple part of the diet. 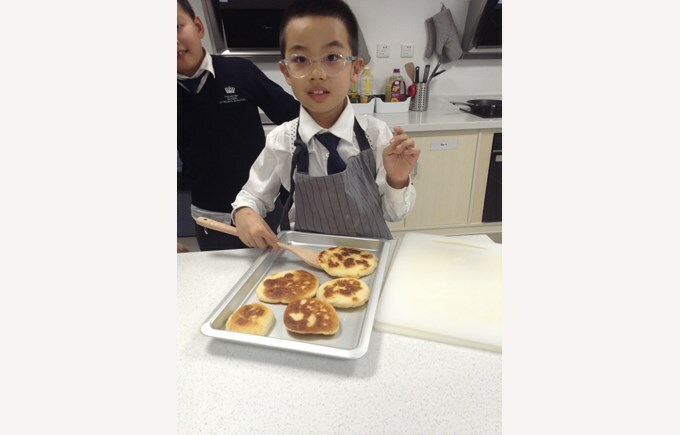 Over in the Li building, the children worked collaboratively to carefully read instructions to collect the correct ingredients and equipment to prepare for each step in the recipe. The children had to measure and problem solve to get the mixture ‘just right’ to be able to knead the dough ready for baking. The children were very proud of the results! Tasty! If you would like to know how to make Egyptian flatbread then ask Year 3! They have even been working on writing their own set of clear instructions for next year’s year 3.